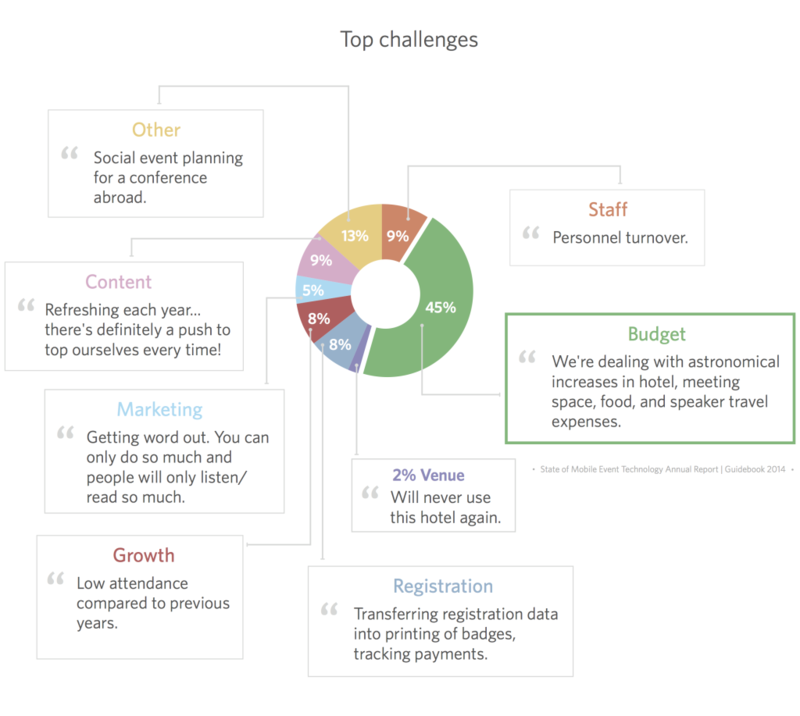 Event costs and budgeting concerns are the #1 challenge faced by event planners in 2014. 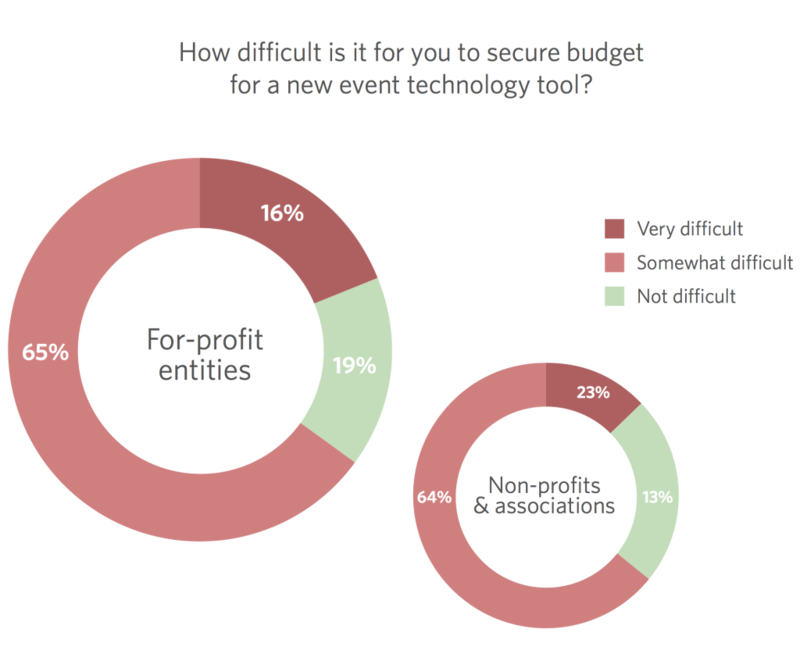 45% said budget is their primary concern in the 2014 State of Mobile Event Tech Report. Yes, it is. US hotel rates have increased by 5% in 2014, according to the Hotel Price Index. And event costs in every sector seem to be rising more quickly than normal, especially in larger, more event-focused cities like Las Vegas, Orlando, New York, San Francisco, Chicago and Atlanta. Yes, it is! Event planners at for-profit and non-profit entities say it’s difficult to secure budget for new technology tools. And when your attendees are asking for more, you’re being asked to squeeze blood from a stone. What can you do to fight rising event costs? We shared some event budget ideas last week–ways to embrace new tech and balance costs whether you are a small, medium or large event. Moving to mobile can cut down considerably on costs, too. We hear again and again that the shift to an event app and away from paper printing has saved money. Here’s a dramatic example: The RSA Annual Conference is saving around $20,000 by moving to mobile. Printing paper programs is double the cost of an event app, and 91% of event planners who use apps say that going mobile has produced a positive return on investment. Don’t take our word for it, though. Read the 35-page 2014 State of Mobile Event Technology report, and learn what planners are saying about rising costs, what competitors are doing, how they’re using technology and much more.